I love that Fall is Here (or almost)!! 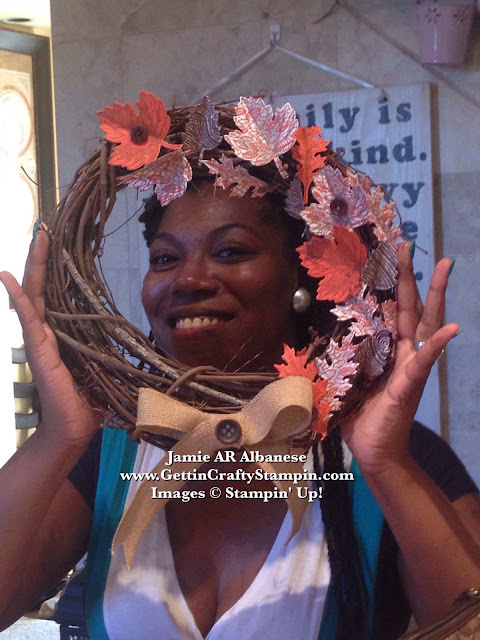 We had a BLAST Creating fun hand-crafted wreaths that will welcome in our family, friends and Autumn!! Here are a couple of pictures from this FUN Class!! Join Us at our many fun Upcoming Card Making and Paper Crafting classes waiting for YOU!! Seriously - can Mia be ANY CUTER?? 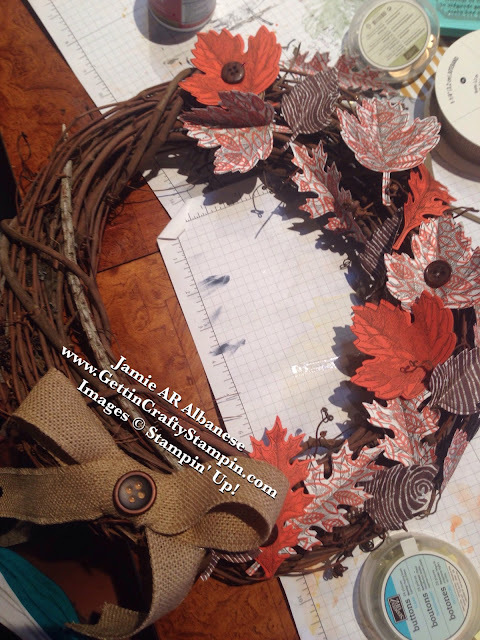 I LOVE the ease and FUN we had in creating custom Autumn themed hand-stamped wreaths!! The Vintage Leaves stamp set and coordinating Leaflets Framelits make for a great BUNDLE - saving 15% and delivering WOW results! I love the Into the Woods Designer Series Paper here. BOOK A Private Class In-Person or On-Line* (*we can offer a On-Line Facebook group tutorial on these with the kits delivered to you in-person!!). 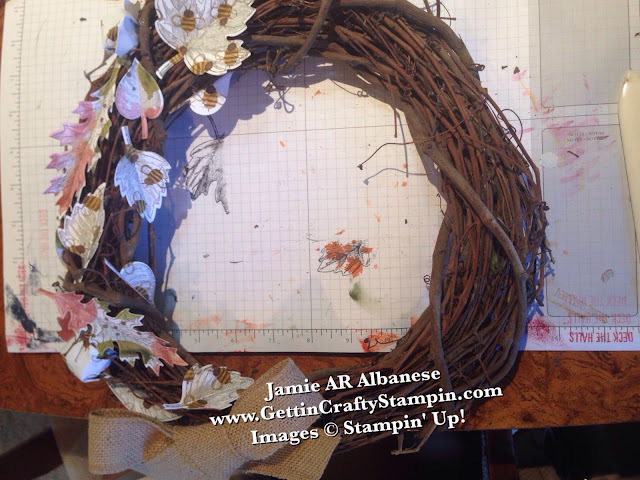 Create this beautiful wreath and do it with your friends and family! Here Melanie had a blast using the English Garden Designer Series Paper for fun results!! Her son is enamored with Bumble Bees and this fun floral paper wouldn't be one's first choice in an Autumn Wreath but the results are PERFECT!! 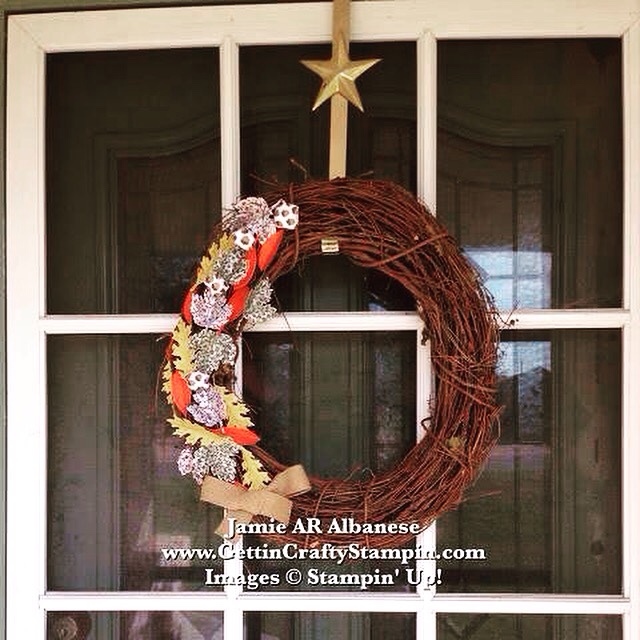 The Burlap Ribbon is the perfect touch to these hand-crafted wreaths. This is the fun wreath hanging on my front door. Using the Into the Woods Designer Series Paper I love that using the same paper results in different but both beautiful results! 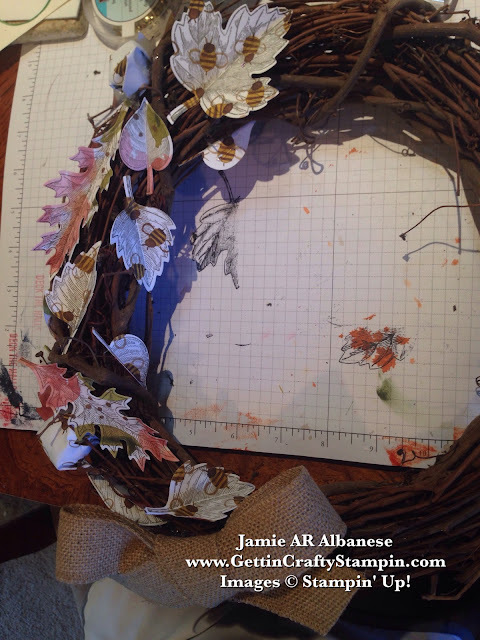 BOOK YOUR OWN Wreath Private Class with ME and let's have a blast creating with your family and friends while YOU Score a BONUS Hostess Shopping Spree! !